“We are really, really pleased that today has come. There have been a lot of people preparing for this and that is our yellow Friendship bench,” Maria Lucido-Bezely, Dean of Students, told a small crowd gathered in front of Trafalgar’s Marketplace on Monday. The group came together for the unveiling ceremony of Sheridan’s first Friendship Bench. With Bell Let’s Talk right around the corner, this was the perfect time to introduce the initiative and get the conversation about mental health started. Over the years, Sheridan’s health and counselling department has focused on student wellness, making as many improvements as they can. This year alone they “have increased the number of physicians available to students who would like appointments and reduced waiting times for students who want to access counselling services from three weeks to three days,” says Marissa Amoroso, senior manager of the health and counselling department. But they aren’t naïve. “We know that not everyone who is struggling will ask for help. This is why we have partnered with Student Union and Sam Fiorella, the founder of the Friendship Bench organization, to bring the friendship benches to Sheridan College,” says Amoroso. “Mental health is, it is something that is not unique unfortunately. It is a broader issue and when individuals are inflicted it is a really lonely, isolated feeling and you feel like you’re alone,” says Lucido-Bezely. It is not unusual for people to suffer in silence. The bench serves as a symbol to end that silence and start peer-to-peer conversation about mental health. “My hope for students and for this bench is that we continue to foster and promote a community of support for Sheridan, student challenges, student life and most of all mental life. This friendship bench is a tool and a symbol for students in our community,” says Sylvia Ibrahim, Student Union President. As the SSU and health and counselling department strive to help all of Sheridan’s community they were pleased to announce that Sheridan is the first establishment to have a completely accessible bench. “One of the arms is actually missing. Which means anyone can use the bench, sit beside it and be a part of this initiative. It’s something I think that we in student affairs and student union are quite proud of,” says Amoroso. Beside the bench sits a mailbox full of encouraging and supportive messages from people in the Sheridan community. If you’re feeling down, take a seat, grab a letter and breathe. Although the Friendship bench and Yellow is for Hello initiative came from a place of heartache and loss, Sam Fiorella, the founder of this organization wants the bench to represent life. By telling his son’s story and the lives he was able to change, Fiorella captured what it means to say hello and the importance of talking about mental health. “To our students, use this bench to rest your feet or have a coffee but as you use this bench take a moment to think about mental health. To talk about it, to learn about it and finally to tear down the stigma that surrounds it. If you see someone sitting down on the bench take a moment to check in, slow down and talk to each other and lend an ear,” says Ibrahim. 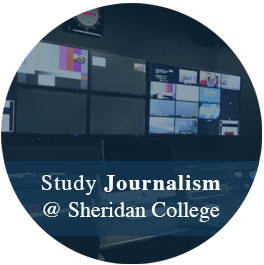 Rya Walford is a second year journalism at Sheridan College. She enjoys writing about lifestyle and health&wellness. She spends her mornings analyzing her horoscope and drinking enough coffee to fuel an airplane.